Quikly helps brands maximize their mobile marketing performance by increasing adoption and continued engagement across the full range of platforms. Mobile engagement campaigns on the Quikly platform expands relationships with existing email subscribers and social followers by motivating them to opt in to SMS communication or download the brand’s mobile app. 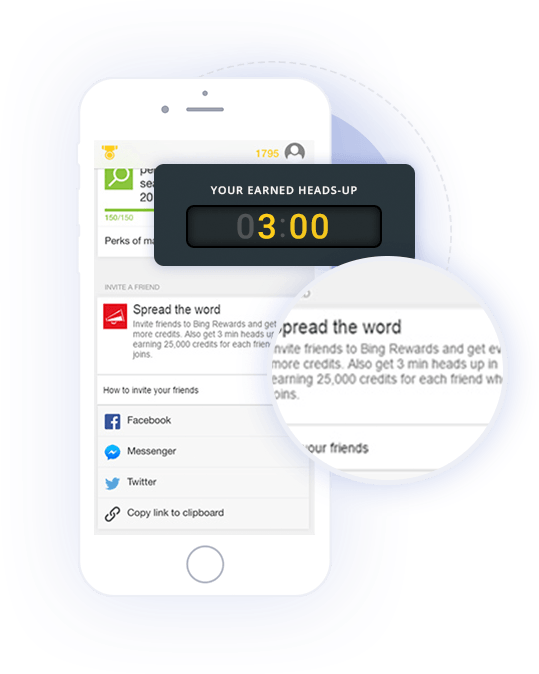 Quikly mobile engagement campaigns motivates consumer adoption of mobile wallet through a combination of education and mobile wallet friendly incentives. Quikly is a simple yet powerful way to keep SMS subscribers and app downloaders engaged by motivating and rewarding them to react quickly. In addition to driving ongoing engagement, Quikly can increase awareness of new features and increase consumer retention. Mobile apps for loyalty programs are becoming an increasingly important channel that provides member value and strengthens member engagement. For this reason, growing the number of Bing Rewards app downloads is a critical program strategy. 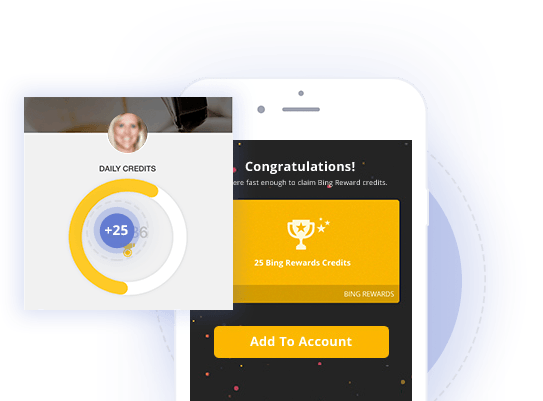 As part of the loyalty program’s mobile app strategy, Bing Rewards leveraged the Quikly platform to generate mobile app awareness, drive mobile app downloads, and stimulate program referrals. 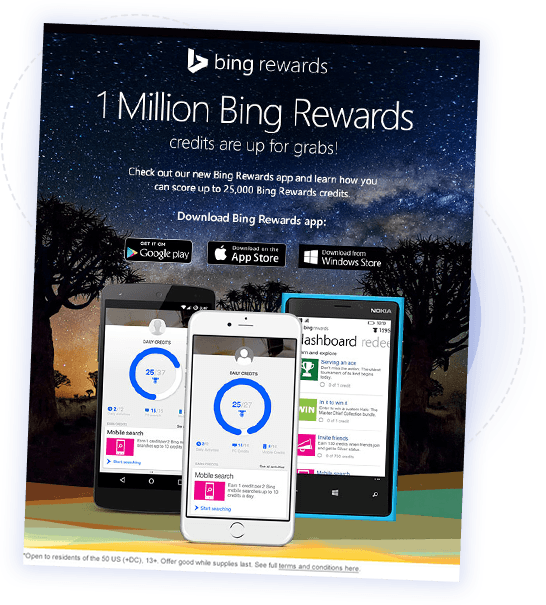 Those who responded fast enough claimed loyalty points and were asked to seamlessly load them onto their Bing Rewards account. Brands can expect up to a 5x reduction in mobile app acquisition costs using Quikly. and get the latest product enhancements.